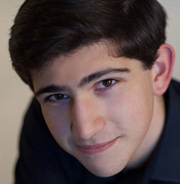 First Prize winner of the 8th International Franz Liszt Piano Competition. “...Immensely gifted pianist...with prodigious technique, myriad shadings and scrupulous accuracy...”, New York Times. 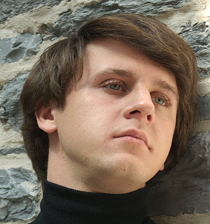 On 12 April 2008, Russian pianist Vitaly Pisarenko (1987) won First Prize at the 8th International Franz Liszt Piano Competition in Utrecht, the Netherlands. Vitaly’s packed tour schedule, with world-wide engagements until 2011, commenced straight away the morning after the Finals with an appearance at Amsterdam’s Concertgebouw with the Netherlands Radio Philharmonic Orchestra under the baton of Damian Iorio. Vitaly Pisarenko already had his first public recital at the age of 6. Following his first musical training at music schools in Kiev (with Natalia Romenskaya) and Kharkov (with Garry Gelfgat), he commenced his study in Moscow with Professor Yuri Slesarev at the Central Music School (1999-2005) and State Tchaikovsky Conservatory (from 2005 to 2010 and a postgraduate course from 2010 till July 2013) with the same teacher .From 2005 to 2009 he enrolled in a post-academic course of study at Rotterdam’s Codarts Conservatory, as a pupil of Aquiles Delle Vigne. From 2009 to 2012 Vitaly was a student of Oxana Yablonskaya at Oxana Yablonskaya Piano Institute in Italy. As of September 2012 Vitaly is a Master student at Royal College of Music in London, where he studies with Professor Dmitri Alexeev, receiving a Kenneth and Violet Scott full scholarship. 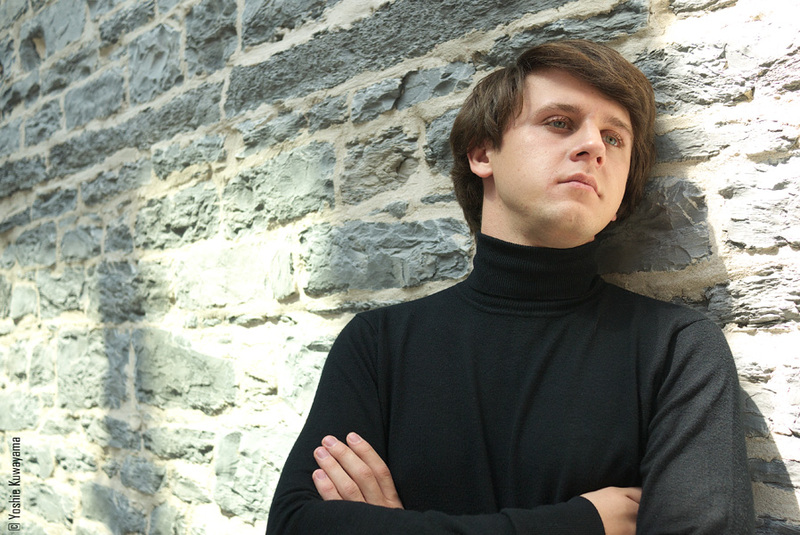 In 2008 after having won the Liszt Competition Vitaly Pisarenko has performed in more than 25 countries including appearances in Germany, Italy, Hungary, Poland, Austria, Switzerland, Great Britain, Norway, Lithuania, Indonesia, Brazil, Argentina, Chile, Colombia, Ecuador, China, Japan, Mexico and the United States and performances at the Basilica Festival of Flanders, the Piano Pic Festival in France, the Berlin International Music Festival, the Delft Chamber Music Festival and the Busoni Festival in Bolzano. In 2009 Vitaly made an extensive tour with the North Netherlands Symphony Orchestra, performed with Polish National Philharmonic Orchestra at the Beethoven Festival in Warsaw and with the Moscow Symphony Orchestra at the Ushuaia Festival in Argentina. That same year he made an international tour with the Heath Quartet, winners of the TROMP International Music Competition and performed Rachmaninoff's Paganini Rhapsody in the reopening ceremony of De Doelen Concert Hall in Rotterdam. Furthermore he took part in the European Liszt Nights tour and performed at the Vilnius Piano Festival and in South-Africa. In 2010 Vitaly performed in Shanghai during the World EXPO and he toured with the Gelders Orkest performing Rachmaninov Concerto No. 4. In 2011 Vitaly was invited to Japan for a extensive tour with the Brno Philharmonic Orchestra performing in Tokyo Opera City, Sumida Triphony Hall, Minato-mirai hall (Yokohama) among others. In 2012 Vitaly made his debut in Teatro Colon, Buenos Aires, the Musikverein, Vienna, De Singel, Antwerpen and The Palace of Arts, Budapest. As well as tour of China including performances at the NCPA in Beijing and the Shanghai Concert Hall. He also participated in the International F. Liszt Piano Academy having lessons with Elisabeth Leonskaya. In 2013 Vitaly made his debut in South Korea performing at the Seoul Arts Centre with the KBS Symphony Orchestra. As well as at several prestigious festivals including the International F. Chopin Piano Festival in Duszniki (Poland), the Euro Music Festival in Halle (Germany), The Grachtenfestival (Amsterdam) and the Diaghilev Festival (St. Petersburg). In 2014 he will return to Belgium for the tour “De biecht van Liszt” with an actor Warre Borgmans, as well as performing a number of solo recitals and concerts with orchestras in USA, Italy, China, Canada and UK.